Shavar "Caution" Blackwood was raised in Detroit, and has been living and working in Toronto for the last 10 years. Throughout his career he has had the opportunity to work with many outstanding choreographers and performers such as Allen Kaeja, Luther Brown, Sean Cheeseman, Siona Jackson, Mandy Moore, and Bill T Jones. His passion for dance lets him take his ideas of the hip-hop culture to the next level by fusing it with different forms of dance such as Contemporary, House, Vogue, Popping, & Krump. These principles have allowed him to achieve a Top 14 spot on Season 3 of “So You Think You Can Dance Canada”, was a featured dancer in the lifetime movie “Aaliyah The Princess of R&B”, danced in the Family Channel show “Naturally Sadie”, and perform with artists such as Cascada, Mcfly, George Nozuka, Divine Brown, and Jacksoul. A well sought out choreographer and teacher, Shavar has taught for many institutions, including National Ballet School of Canada, City Dance Corps, OIP Dance Centre, Canadian Dance Company, Wonderland Dance Company, Ontario School Of Ballet and Academy of Ballet & Jazz. 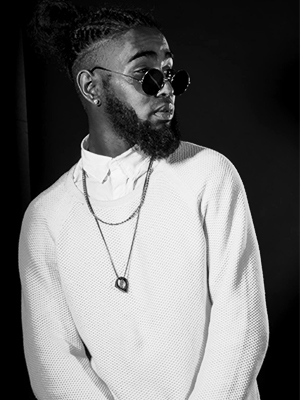 He has choreographed for events such as Sick Kids Canada, Toronto’s Choreographers’ Ball, Bazaar, Fever, TDSB Martin Luther King Remembrance Day celebration at Roy Thompson Hall, and was the winner of Manifesto Dance Competition. In summer of 2012, Shavar founded a program called “The Male Initiative” which is a collective of artists whose goal is to get more males involved in dance by creating a welcoming environment for emerging male artists to train. Program participants receive mentorship from experienced and qualified male dance professionals, as well as provide a professional platform for them to perform and express themselves. Aaron Aquino-Annobil Known to many as a teacher, big homie and friend, Aaron Aquino’s foundation lies in hip hop and krump. He spent his earlier years in Montreal, before moving to Toronto where he has been pursuing his passion for dance. 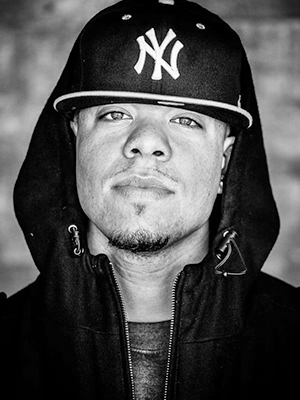 He is a founder of J La Soul dance team, Soul Society “tha krump movement”and is also a member of the krump movement with Durham Underground Buckness. His performance credits includes Toronto's Choreographer's Ball, Fever After Dark, The Beatdown, The Bazaar, World of Dance, BYOB and "What Makes a Man" with Terry Crews and Jully Black. Most recently he had the privelege of dancing in Esie Mensah’s full-length dance and theatre production, "Akoma". Aaron has worked and choreographed for dance crews in the GTA including YYZ Dance Company, C2 Genesys, Fo’Real and UHHU, and has had the opportunity to work with choreographers including Shavar Blackwood, Esie Mensah, Hollywood Jade, Leon Blackwood, Ofilio Sinbadinho Matthew Cuff and Brandon “Bizzy” Owusu. Aaron is also an assistant choreographer for the Male Initiative and is a faculty member at the Underground Dance Centre, where he teaches beginner and intermediate hip hop. Most recently, his choreography has been showcased at The Bazaar and Fever After Dark. Born and raised in Birmingham, England; Dominic grew up around a musically influenced family, ranging from vocalists to music production. In his early years he began performing, but as part of a gospel group that was put together through his high school. After performing nationwide at several events leading up to a trip abroad to perform in South Africa, Dominic gave up singing to pursue Martial Arts (Judo). It wasn’t until his post-secondary years where he found his love and passion back on the stage. Having only been dancing for a short period of time compared to most, Dominic believes that "hard work beats talent, when talent doesn't work hard." In spite of his relatively tender years, he was a quarter-finalist of Britain’s got talent 2011 and even won UDO Street Dance World Championship 2010 with his former crew High Definition in the United Kingdom. Moreover, he choreographed and assisted for various UK television events including CBBC's Alesha Dixon's Street Dance Stars, and ITV's Britain's Got Talent. Since being in Canada, he has worked with the likes of Ariana Grande, CBC, CTV, Much Music Video Awards, Shawn Mendes, Hedley, Fito Blanko, Victoria Duffield and was recently casted as the lead actor in Scott Helman’s latest music video “Sweater”. 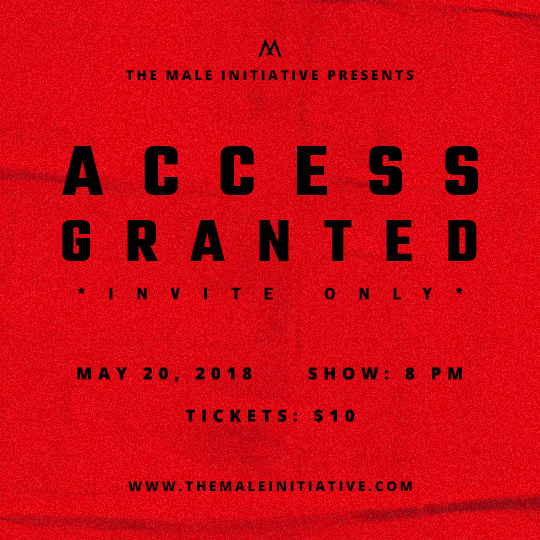 Currently, Dominic is an assistant for The Male Initiative Training Program (Ran By Shavar Blackwood), Dedicated to training the next generation of male dancers in Toronto. 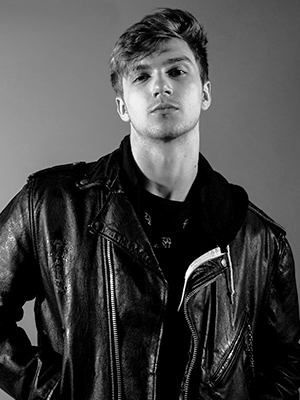 Thomas L. Colford: Passionate, confident and versatile, Thomas is a performer originally from Cape Breton, Nova Scotia, now based out of Toronto. Aside from his passions for acting, music and creating, he has also trained across the continent as a dancer and is an Alumni of Mather Dance Company. Some credits include dancing for artists such as Janet Jackson, Shawn Mendes, Imagine Dragons, as well as starring in Centre Stage: On Pointe (Lifetime) and Season 2 of Backstage (Family Channel/Disney International). Thomas credits a lot of his success to what he learned during his time with The Male Initiative and prides himself on being an alumni of the program. 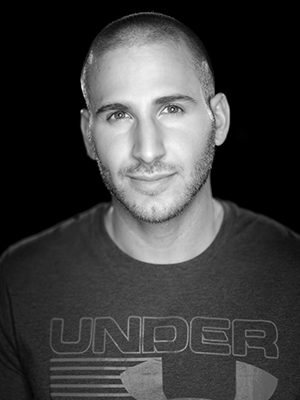 Victor Paletta, is the Founder and CEO of VSP Fitness, located in Burlington, Ontario. At the age of six, he started Taekwondo and competed competitively for almost 18 years earning a Junior National Title and a spot on Team Canada in 2006. He has a third degree black belt in Taekwondo and a first-degree black belt in Wushu (Kung Fu) martial arts. After Victor stopped competing he founded VSP Fitness, with the motto, "Achieving the Unachievable." He created a training style known as “Dynamic Fitness”, and he specializes in “Functional Fitness.” He also has vast knowledge in power lifting, Olympic lifting, Crossfit STYLE workouts, and he is certified in TRX Training and Personal Training. Victor has always believed that "No goal is to small to achieve", and he will take on ANY clients at ANY fitness level as long as they are willing to work hard to achieve their goals. His clientele ranges from people who want to become healthier and fit, to professional dancers, CEO’s of big corporations, professional YouTuber’s, Olympic level athletes, and many more. Leon Blackwood began his career as a choreographer at the age of 18. Born in Toronto, his first professional job was for Universal Canada recording artist Keshia Chanté as Lead Choreographer for her "Solo Mobile" Canadian Tour, shortly after that he was hired to choreograph and dance for Danny Fernandes' "Rookie Of The Year" European Tour. 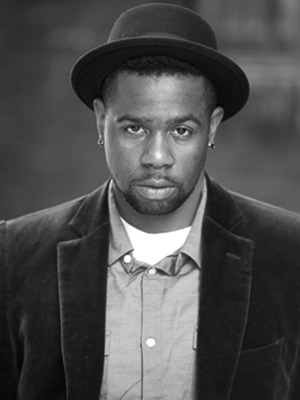 Leon Blackwood has become one of the most sought after choreographers and artistic directors in the Toronto entertainment industry. His movements and style are beyond spectacular, powerful and captivating, which makes him a true original at his craft. As a dancer, he had the opportunity to perform and tour with countless recording artists such as Ariana Grande, Lady Gaga, Ke$ha, Down With Webster, Victoria Duffield, Jully Black, Deborah Cox, Blake McGrath, Danny Fernandes and the iconic superstar herself Janet Jackson. His stage/ television and silver screen credits include "Honey" ,"Make Your Move","Full Out", "Frenemies", "How She Move", "Alvin and the Chipmunks: Chip-wrecked and Heroes Reborn. You can also catch him on the up coming Season 5 of The Next Step, in which he choreographed and also will appear on the show as a Celebrity Guest Choreographer. 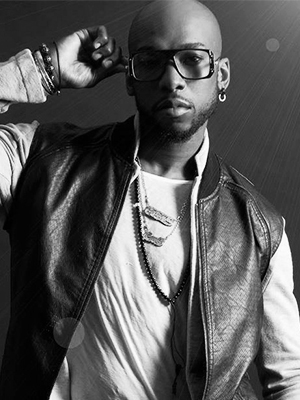 Leon has also personally choreographed with and worked along side celebrity choreographers such as NappyTabs and Luther Brown on television shows and commercials including So You Think You Can Dance US, So You Think You Can Dance Canada, So You Think You Can Dance Vietnam, Aaliyah: The Princess of R&B (commercial), KFC, and The Juno Awards. Not one to put limits on himself or the students and dancers he works with, Leon has pooled together all his knowledge, resources and his connections within the entertainment industry and teamed up with business entrepreneur Aaron Libfeld to create/ Co-Found Toronto's newest and most popular dance facility in the heart of Toronto called The Underground Dance Centre. 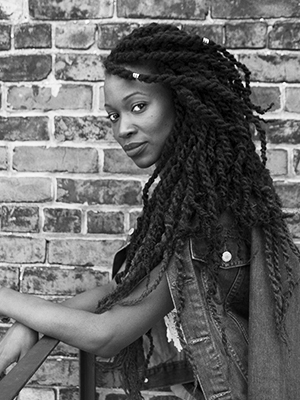 Esie Mensah, the 2014 Black Canadian Award Winner for Best Contemporary Dancer and the 2015 recipient of the Cultural Promotion award from the Ghanaian-Canadian Association. Esie has worked with some of the industry's biggest icons such as Rihanna, Drake, Janelle Monae, Nelly Furtado, Flo Rida, as well as Coca Cola, Luminato, TIFF, Estée Lauder, FIFA, WE DAY and more. Esie was the co-choreographer for “Panamania" Victory Celebration as apart of the 2015 Pan Am Games entertainment. Choreographer of the CHFI commercial "Mornings are a little different" for the new Erin and Darren show and is present as a dancer in the 2016 remake of Rocky Horror Picture Show airing this Halloween on FOX TV. Cora was born with a passion for the arts and an innate desire to create. This Toronto born artist has evolved from a classically trained dancer to a respected choreographer, performer and teacher. She recently presented her second full length show September 2016 entitled Carné. She continues to share her artistic perspective by involving herself in various charity events including Save the Polar Bears (Holt Renfrew), Women's Mental Health (Baycrest), and most recently, the Mac Viva Glam Fashion Cares event. In addition to her live performance work, her choreography has appeared on television networks such as CTV, YTV, Nickelodeon, Breakfast Television, MuchMusic and more. 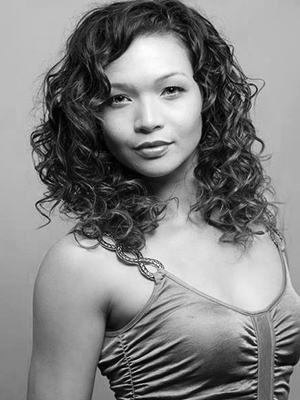 For two seasons on the hit children's show "Make it Pop," Cora has been working under the direction of Addy Chan as a member of her choreography team. While Cora loves working in film and television, her most cherished space is in the dance studio amongst her students. She takes pride in providing an exceptionally positive and safe environment for her students to thrive. "Music is healing, movement is prayer and dance is the universal language of love." Paul "Kaze" Thurton, international performer, dance instructor, and owner of Simply Swagg Dance Studio. He has spent more than 10 years travelling across three continents to compete internationally at events such as R16 World Finals, South Korea, Battle of the Year, Germany, RedBull Beat Battle, England, etc. He has also had the privilege of performing with/choreographing for some of the world’s most prominent artists and events: Drake, Mario, Kardinall Offishall, T-Pain, NAS, Common, Wu-Tang Clan, Raekwon, the Juno Awards, to name a few. Paul was born in Langley, British Columbia, where his music training began early from the influence of his father Raymond Thurton, an engineer and Jazz Musician. During his early years he nurtured this love of music further through his studies, focussing on percussion, wind instruments, and musical composition as a teen. After moving to Scarborough, Ontario in his youth, he began being influenced by different musical styles, namely Hip Hop. Soon Paul’s passion for all things hip hop grew and he began to focus on Breakdancing. He would practice anywhere he could find space: friends’ houses, community centres, local parks, subways stations, etc.. His diligence to his craft led him to meeting internationally renowned breaker“Skittlez” of Supernaturalz Breakdance Crew, who introduced him to the realm of international competitive dance. At the age of 15, Paul became the youngest member of Supernaturalz Crew, which not only sparked his dance career, but allowed him the opportunity to compete internationally himself. Seven years ago, Paul shifted his focus from competing and choreographing internationally himself to cultivating a space where he could pass down his knowledge and experience to other aspiring dancers and instructors. Simply Swagg Dance Studio, established in 2009, where he provides superior street dance education in combination with the ethics and discipline instilled by traditional dance studio programs; it is the fastest growing, premier urban dance studio in the GTA. Artistic director of Dora Award winning dance company Gadfly. Founder of TUDS Festival of Urban Dance Culture. 2 times finalist for KM Hunter award in Dance by Ontario Arts Council (2013 & 2014). Manifesto Award recipient for Innovation & Originality. Urban Dance Production: Klorofyl (3 Dora Award nominations, Arkemy (Tour 7 cities) •Choreographic Commissions: Ryerson University School of Theatre, Alias Dance Project, Canadian Contemporary Dance Theatre. Dancer Credits: Feist, Nelly Furtado, Shawn Desman, Cascada, MMVA. Film Credits: Camp Rock II, Turn The Beat Around, You Got Served 2 and Resident Evil Retribution. Artistic consultant, Food connaisseur, & Volunteer Board Member for Canadian Alliance of Dance Artists and Dance Ontario Association. Street dance activist who has set for hobby to establish Street Dance as a legitimate art form and promote its cross-cultural movement. Hollywood Jade is one of Toronto's greatest visionary talents who continues to find new and exciting ways to present his timeless creativity to the masses. This dancer turned choreographer turned director has showcased his multidimensional artistic creations on both the big and small screen, local and international stages and his work with many organizations, companies, artists and talents. He works continually to cultivate new and exciting collaborations and push the boundaries of his creations. Hollywood Jade’s ability to excel as a dancer on these projects combined with his natural leadership skills opened up opportunities for him to start choreographing and assisting other choreographers including Jae Blaze, Jamal Sims, Luther Brown and Eboni Nichols. He worked with these choreographers on various projects and artists such as Massari, Keshia Chante, Snoop Dogg, The Dream and Estelle. Hollywood Jade was also the only contestant in the history of the hit show So You Think You Can Dance to go from a contestant to assistant in the same season. 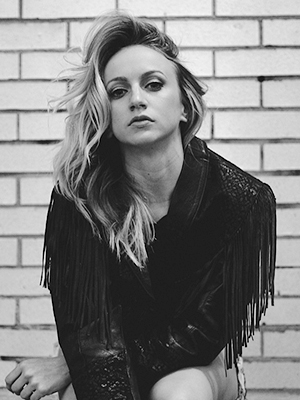 As a choreographer, Hollywood Jade quickly became sought after by some of Canada's leading performers and artists. His attention to detail and knowledge of the industry set him apart from his peers. His interest and career led him to begin dabbling in video direction. This curiosity has led to a full blown career in this field resulting in a handful of videos under his belt and his own successful performance company "Hollywood Presents". This performance company has orchestrated several sold out Urbanesque shows which fuse the classic style of Burlesque with modern and contemporary music and movement. These projects and career moves led him to secure the position of artistic director and choreographer to Canada's Queen of R&B - Jully Black. The future looks bright for Hollywood Jade as he continues to find new ways to expand his array of talents. He continues to find new opportunities to dance, act and entertain. 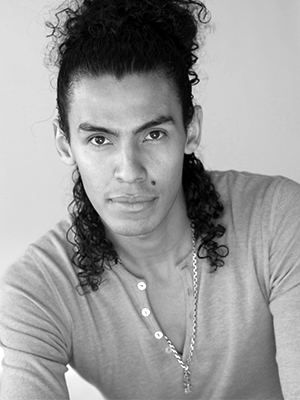 He is currently involved in various artistic productions – as a dancer, choreographer & artistic director. He is also involved in various hosting events, artistic consultations and video direction projects. He reminds himself daily of a quote he heard from one of his idols. "If you stay ready, you never have to get ready" and this is exactly what he is doing - remaining constantly ready for the next phase of his career. Miles Faber grew up in Calgary Alberta, where he started Bboying (Breaking) at the age of 16. He began his professional career at the age of 19. After being named the male runner up of SYTYCDC Season 1, he has been working non-stop. Miles dances Funk, Soul, Hip Hop, and Electric Boogaloo (style of Popping) and was inducted into the Electric Boogaloo Family 2 years ago. Miles has performed and danced with many artists including Shawn Desman, Ludacris, 2 Live Crew, Dirty Vegas, Black Eyed Peas, MC Hammer, and more! Miles has choreographed and danced in many film and television shows including (but not limited to) MTV’s "Turn the Beat Around", Disney’s "Frenemies","Molly Maxwell", "Score: A Hockey Musical", Family Channel’s "The Next Step" and was an associate choreographer on "Canada’s Got Talent". Last year Miles choreographed a stage production of the hit show RENT, choreographed and shot a McDonald’s commercial, and won the Canadian Street Dance Championships for Popping. Miles continues to judge competitions, teach/choreograph, and perform on television and around the world as well as perfecting his own craft of dance. Latin Born and raised in Jamaica, Lauren was strongly influenced by music and dance. At the age thirteen, she moved to Toronto where she was introduced to various forms, with a focus on Modern, Jazz and Ballet. Lauren furthered her training at George Brown College, graduating from the Dance Performance program. She then went on to expand her diversity by studying and receiving top certification as a Ballroom and Latin instructor at the Joy of Dance Centre. In the summer of 2011, Lauren was chosen to be a part of So You Think You Can Dance Canada's Top 20. Since then Lauren has performed with artist; Nick Jonas, Mr. Vegas, Lady Gaga, Flo Rida, Jully Black, Divine Brown, Keshia Chante, Victoria Duffield, Carly Rae Jepsen, Mariana’s Trench and Hedley. She has performed at numerous Music Awards, worked on TV shows and Commercials. Lauren continues to share her passion and love for dance wherever it carries her. Shameka Blake was born in Manchester, Jamaica and immigrated to Canada at the age of 10. Shameka recalls developing her passion for dance at the tender of three and took her calling seriously throughout junior and senior high schools, consistently performing in school dance groups and competitions. In 2006, Shameka decided to pursue her passion for dance professionally at George Brown College’s School of Dance and Performing Arts where she attained technical training in various dance genres including jazz, ballet, tap, and contemporary and developed her avid skill as a choreographer. In 2008, Shameka founded Artists in Motion (AIM), a multidisciplinary dance company based in Toronto, Ontario. AIM consists of a myriad of gifted professional dancers who are dedicated to elevating the art of the Urban dance scene to new heights. Genres including Hip Hop, African, Dancehall, Jazz, Ballet and Contemporary are often meticulously fused together to create unforgettable masterpieces. Shameka is the 2015 Black Canadian Award recipient for Best Urban Dance Act. Her work has been featured at the Association for the Performing Arts Presenters (APAP) Convention in New York City, as well as Toronto's Fringe, Pride and TIFF Festivals. Further, Shameka was co-choreographer for The Victory Celebration of the 2015 Pan Am Games held in Toronto. Amadeus “Primal” Marquez entered the Toronto dance community seven years ago as a Krump dancer. Within the first year he won a number of events including Krump City where he was crowned Krump King of Toronto and then proceeded to create his own company Northbuck specializing in krump dancing. Northbuck has been featured such magazines and news papers such as The Globe and Mail, Toronto Star, The Dance Current Magazine, British Journal Of Photography, The Atlantic, The Huffington Post and The Guardian. Since entering the dance industry Amadeus has performed on stages for the Olympic Para Pan Am Games, King Of The Dot Entertainment, Manifesto, Unity and World Of Dance to name a few. Amadeus is also the creator, judge and host of the first ever World of Dance Krump section in the history of World of Dance. His talents have led him overseas in Blackpool, Manchester, and London England, as well as Tallinn and Tartu in Estonia. He has been featured on City TV, Much Music, and City Pulse. 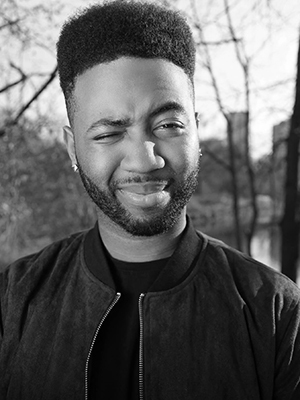 Amadeus has had the privilege of opening for artists such as Talib Kweli and Kardinal Offishal as well as in music videos for Boi 1da, Airplane Boys and Ten Yards. He has starred in commercials for MTV, the Olympic Winter Games (RGB Move), Converse, West Side Studios and Coca Cola. Along with teaching his krump classes at Simply Swagg Dance Studio and OIP Dance Centre, Amadeus began a youth mentorship program entitled Krumping out Crime. This after school program teaches at risk youth how to turn their negative energy into something positive- Art of dance. He continues to share his love for foundation and dance worldwide through teaching and performing and hopes to continue inspiring youth that anything is possible.